Simple text can be entered in the browser with this option. With this option, the text area will become an HTML editor in the browser. 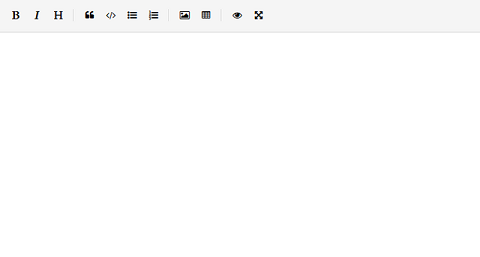 With this option, the text area will become a Markdown editor in the browser. 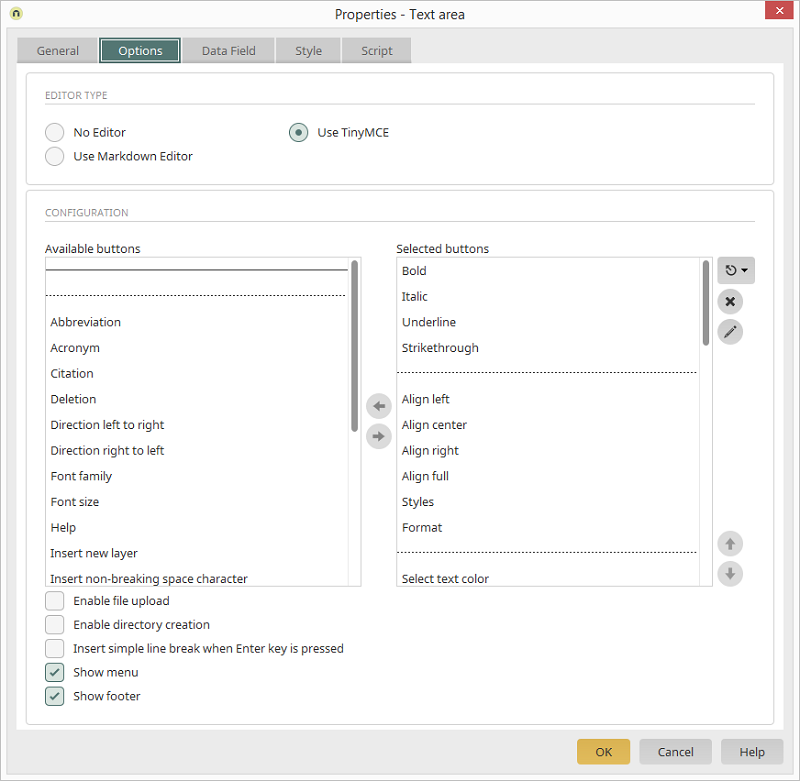 If the option "Show tag suggestions" is acctivated on the General tab, then the options "Use TinyMCE" and "User Markdown Editor" cannot be selected here as tag suggestions cannot be displayed in these editors. Enter the maximum number of characters that a user may enter. Here, you will find all buttons that you can add to the editor. If you want to add an additional button, highlight it in the column and move it, with the help of the arrow button, to the "Selected buttons" column. With the dotted line, buttons will be combined optically into groups. In this way, you will support a clear overview in the editor. The solid line will be used in order to create an additional symbol bar below a previous one. The selected field is moved to the right/left column, respectively. By clicking on this button the settings can be reset to a "Basic configuration" or the "Default configuration". Moves all elements from the "Selected buttons" column back to the "Available buttons" column. Opens a dialog where settings for initialising the Editor can be defined. These define the order of the buttons in the editor. With this setting, files can be uploaded using the text editor, for example if an image will be inserted. Enables the creation of directories. Defines that a simple line break will be inserted when the Enter key is pressed. Displays the menu in the editor. Has the effect that the status line will show, at the foot of the editor and depending on the position of the cursor, which HTML element is currently being edited. In older versions of Intrexx, the FCKEditor was used as the editor. For applications that you have imported from older versions into an Intrexx 5.2 portal, or have updated to version 5.2, a compatibility mode is available to you in the editor. You can switch between the editor types TinyMCE - the current default editor - and the FCK Editor. If you use the FCKEditor, three standard settings will be available to you in the "Toolbar" selection list for the editor symbol bar. 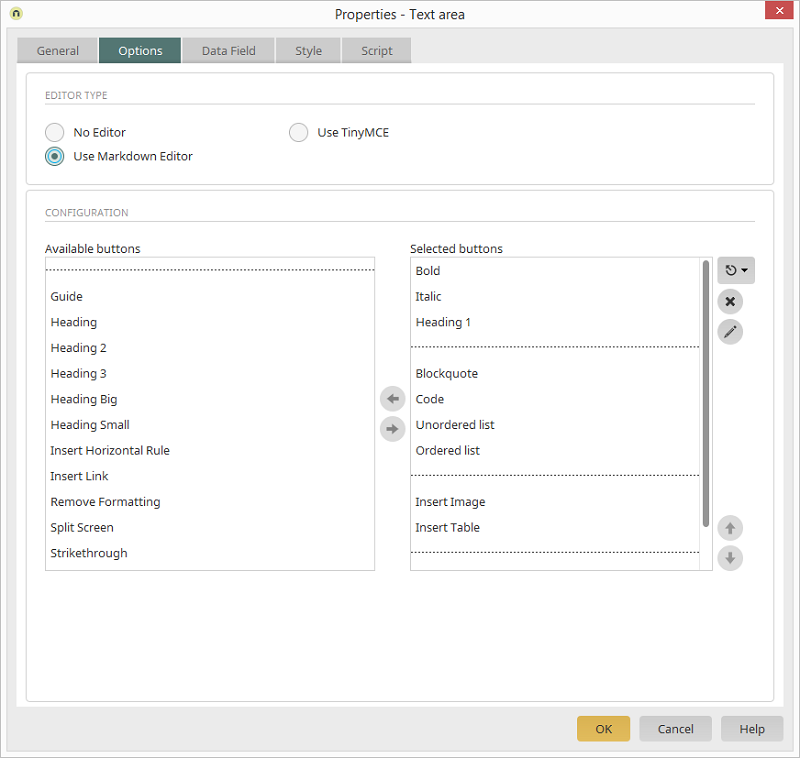 "Editor skin" offers three various themes for the editor. 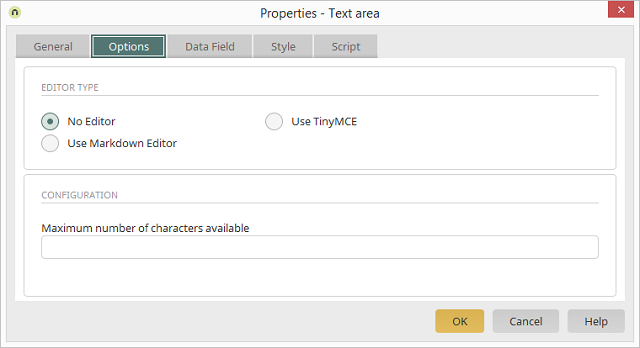 In addition to the "File upload" and "Enable directory creation" settings, which you can also find in TinyMCE,here you can activate the "Allow editing of HTML source code" setting; with this setting, you can switch to the HTML source code via a button on the end device. You can find additional information about the FCKEditor here.